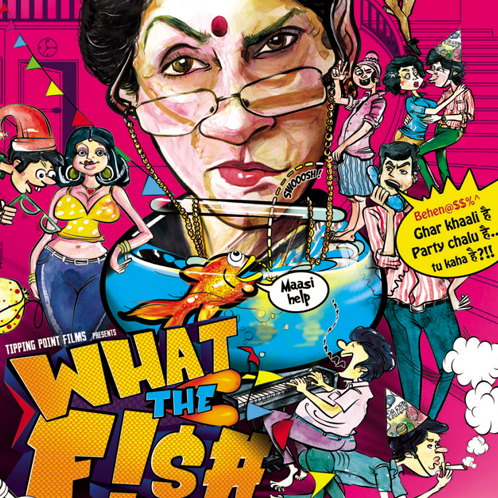 Gurmmeet Singh’s What the Fish is an absolutely tasteless but very useful movie? Why useful? Because this gives you the chance to access the genuineness of movie reviews. Today I judged the reviewers and not the movie. The verdict has been passed - any reviewer who gives this movie a rating higher than ½ * should not be trusted in the future. The problem is not with the story, but with its treatment. This story could have been a successful comedy had it been treated well. Unfortunately, it the hands of Gurmmeet Singh, it turned into a rotten fish. Are you nevertheless expecting me to brief you about the story line, the acting and the characters? Well, you will have to excuse me this time - I have spent enough of my precious time watching this movie and I really do not wish to kill another few minutes reviewing it. Trust me, just steer clear of this one.